The Braves have recalled RHP reliever Jacob Webb from Triple-A Gwinnett. Webb will join the Braves bullpen after a flurry of roster moves related to Arodys Vizcaino's trip to the 10-Day IL. Webb has electric stuff —opponents hit just .143 against him in four-innings of Triple-A work this season. 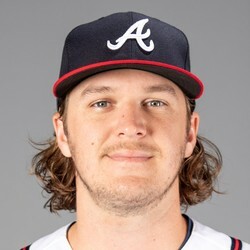 The 25-year-old Webb was an 18th round draft pick of the Braves in 2014.